About CCNP™ CIT exam: Exam 642-831 CIT (Also known as Support exam) forms part of CCNP certification. 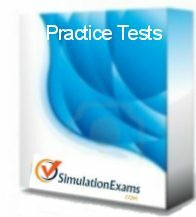 Other exams that count toward CCNP are: 642-801 BSCI, 642-811 Switching, and 642-821 Remote Access exams. Note that these exams (642-801, 642-811, and 642-821) count towards CCDP certification as well. The skills tested include 1. Troubleshooting of TCP/IP, Novell networks in routed environment. 2. Troubleshooting VLANs, Catalyst 4500, 6500 series switches. 3. Using troubleshooting and help resources for clients on Cisco Website among others.